Shinobazu pond is devided into three parts. This part of the pond is called "lotus pond". 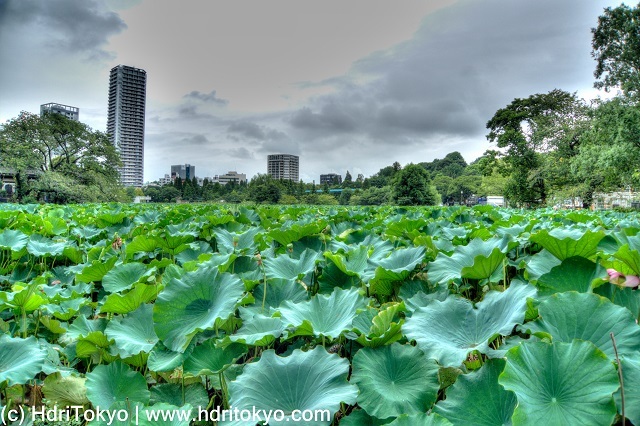 In summer, it is covered with green lotus leaves. Shooting date : August 31 , 2015.